AE Smith manages the provision of air conditioning and refrigeration preventative maintenance services to 13 national sites for Sigma. Since 2012, AE Smith has worked closely with Sigma Pharmaceutical Group to implement a preventative maintenance program that has already delivered significant savings and value. Sigma was considering hiring an external engineering consultant to write a brief detailing the design, supply and installation of an air conditioning system to serve the first floor packaging area of their Rowville Distribution Centre. By leveraging the working partnership already developed, AE Smith proposed an innovative value-added service that delivered the right outcome and financial savings for the company. 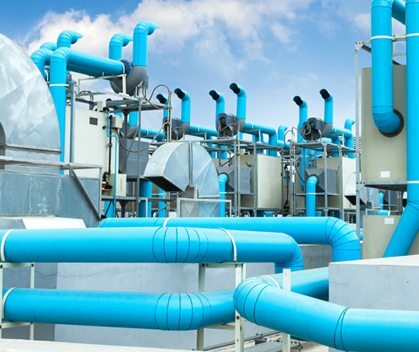 As Sigma’s preferred national supplier of air conditioning, AE Smith upgraded the air conditioning system which comprised an extension to the current chilled water air condition system, installation of pumps, ducts and piping. Technical assistance in reviewing tender responses as deemed appropriated by Sigma. As a result, AE Smith’s cost-effective proposal saved Sigma more than what they were originally expecting. 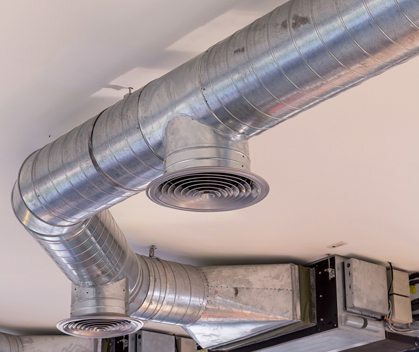 Before AE Smith was awarded the tender to design and construct the new air conditioning system for Rowville, Sigma was expecting to engage external engineering consultants unaware of AE Smith’s in-house engineering expertise. This also saved Sigma considerably and streamlined the entire process. The AE Smith system delivers a high level of sustainability efficiency as chilled water cooling is very different from residential air conditioning, where water is pumped from the chiller to the air handler unit to cool the air. Using water has many advantages which consist of water being non-corrosive, non-toxic, it contains a specific heat value, and is inexpensive. Compared to other secondary refrigerants, it is an excellent choice to use. In choosing to partner with AE Smith, Sigma’s decision to deal with a single contractor means that there is an increase in the capacity of their in-house facilities team to better focus on high-value activities, and delivers productivity gains for Sigma staff. After working extensively with Sigma, AE Smith understands the operational drivers, unique requirements and challenges of their different facilities and will continue to help Sigma achieve its commercial objectives to become Australia’s leading pharmaceutical wholesaler.